about sharks and other sea creatures that could help save them from becoming extinct! beautiful creatures up close and personal! Using the inspiration from his trip, Cody designed a Christmas card to send out to his family and friends where he and Jake were in a sleigh and a shark was pulling them around. As soon as people started receiving cards in the mail, the reaction was exciting! Everyone loved it and many people would say, "this should be a children's book!!" 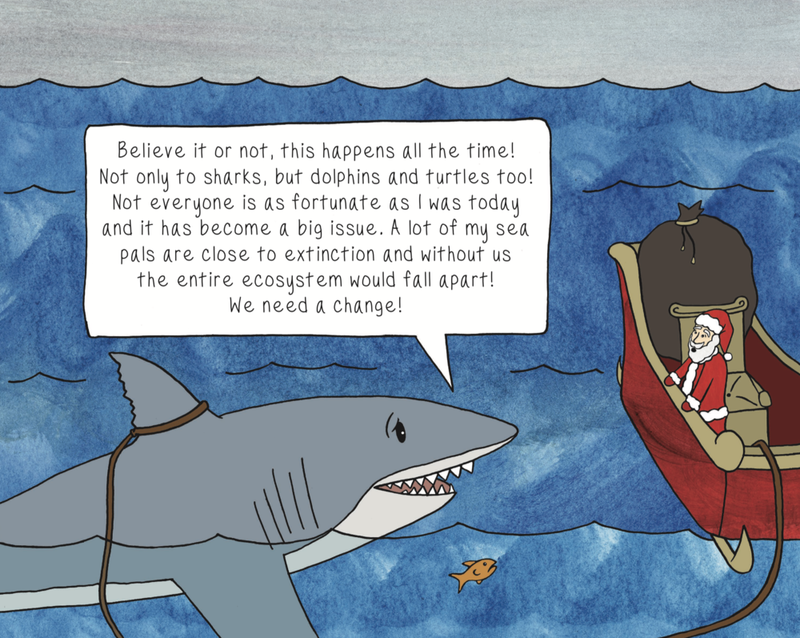 Cody decided to not only create a unique and fun tale about Santa and Oli saving Christmas, but to also include a lesson in the book about sharks and their importance to our eco-system! After planning the story line, sketching and drawing the final drafts it was all starting to come together! All the hard work was finally starting to pay off! The pages were laid out and edited. A paperback sample was printed, and it was finally finished. Cody turned to the community to raise the funds needed to get A Great White Christmas up and running. The kickstarter campaign was a success! The goal was exceeded and a portion of the funds raised after the goal amount were donated to Shark Angels, a non-profit organization dedicated to saving sharks and providing education about these fascinating animals! 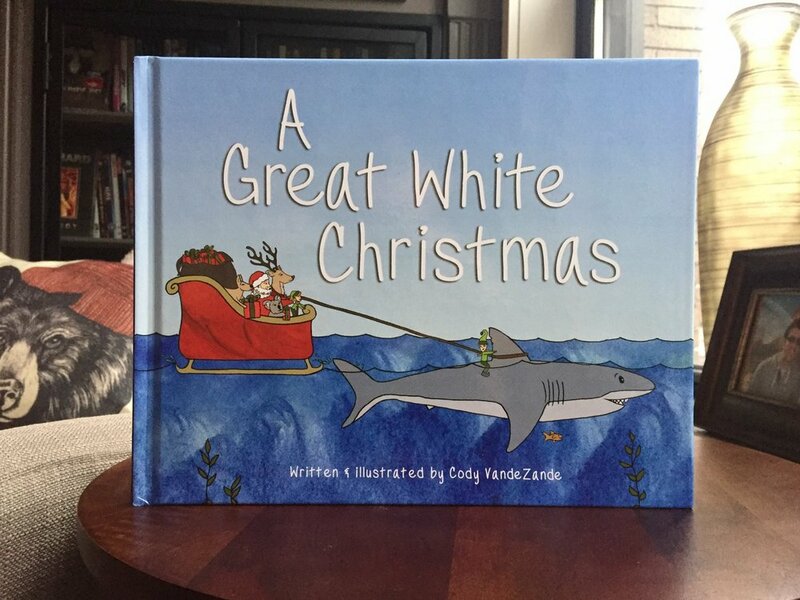 Cody has done presentations for 1st-8th grade kids to show how he was inspired to write and illustrate A Great White Christmas. He also helps the kids get started by teaching some of the basics on creating their very own story and some tips and tricks to inspire kids to create their own illustrations! If you're interested in hosting an event for presentations, signings, etc., please contact Cody at codyvandezande@gmail.com or click the connect button on this website!